The Apple TV is a small $99 box that you can use to stream video, music, and other multimedia to your television. But that isn’t enough for some technology enthusiasts. If you want to do even more with your Apple TV, you can jailbreak it using a variety of tools. The team at Firecore recently released the tools required to jailbreak the latest Apple TV software update. 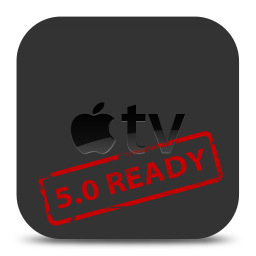 Seas0nPass 0.8.3 is a free tool that allows Apple TV users to jailbreak their iOS 5.1 device, allowing users to use applications and run tweaks not officially supported by Apple. For $29.95, Firecore also offers aTV Flash, a utility that allows users to configure the Apple TV to support web browsing, RSS feeds, weather forecasts and more. The iOS 5.1 release remains a tethered jailbreak. That means if you need to reboot your Apple TV device you’ll have to connect it to your computer and run the jailbreak tool again. More details can be found by visiting the official Firecore blog.